Earn more revenue profit by banner sliders on different pages that make your site more attractive. 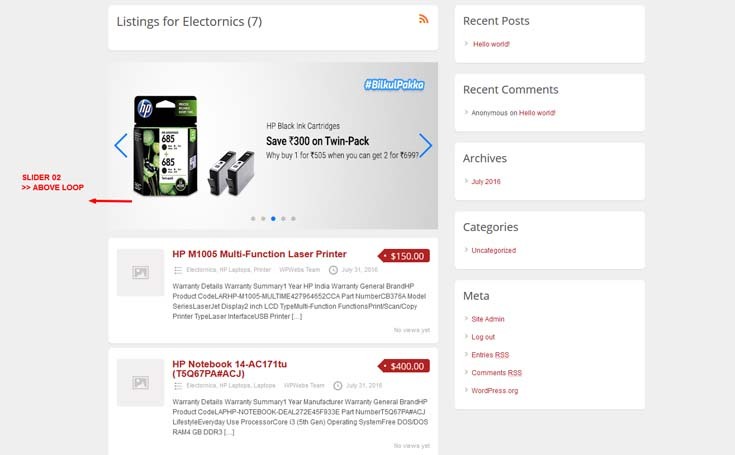 Plugin add the features to display banner sliders on different pages like home page, category pages & search page for more than one place like below header, above footer, above and below listings loop for category & search page. Slider is responsive and most modern mobile touch. Increase profit revenue by display banners. 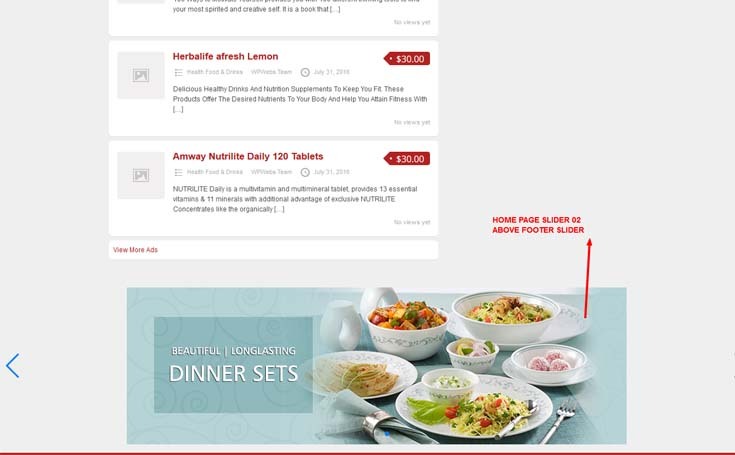 Responsive layout and most modern mobile touch. Swipe easily on touch screen/mobile device. Display multiple banner slider on same page. Banner slider either full width or content width. Display full width slider for home page. Display slider below header and above footer (2 places). Display slider on each category listing pages and search page. Display slider below header, above & below listing loop and above footer (4 places). Display random banners on each refresh. For each category pages, set different sliders from category add/edit settings. Auto play slide and auto play time settings. Pagination and next-previous slide options. Automatically adjust slider height as per banner height. Hide slider for mobile device. Responsive and most modern mobile touch. It will replaced theme default featured listings slider with screen touch slide and easy to see for small size devices. 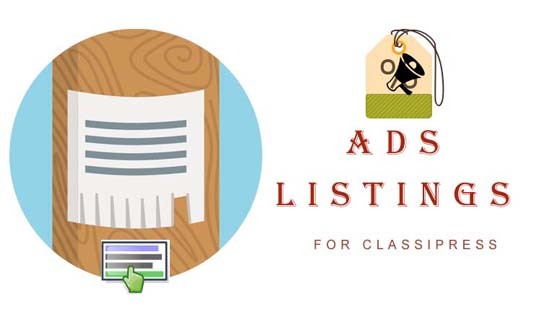 How to display featured listings – plugin settings? — Banner Slider widget added. 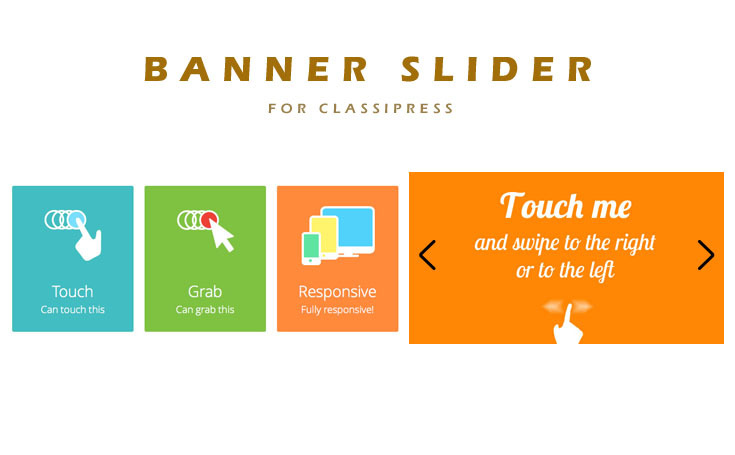 — Multiple banners per slide so now your banner slider will become banners/image gallery. >> see related settings from wp-admin > Banner Slider (left menu) >> Add/Edit Banners > “Gallery Slider Settings” options. — Manage banner slider settings easily. Q :: How to set banner slider for category pages? 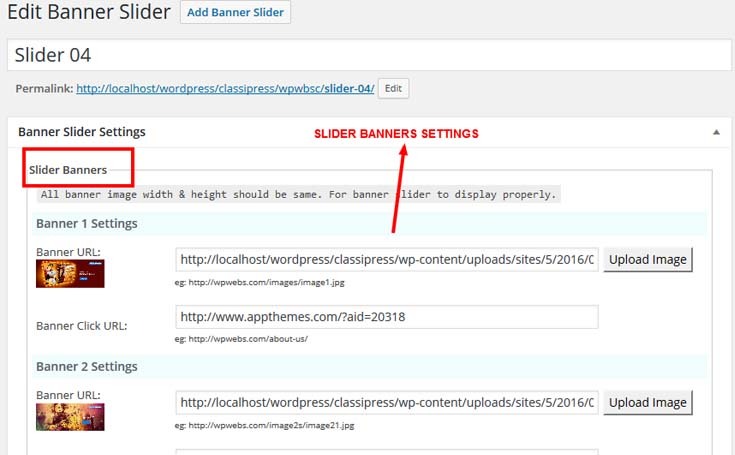 A :: Go to wp-admin > Ads (left menu) > Categories > Add/edit Category > See “Banner Slider Settings” >> Select slider. Q :: How to set banner slider for home page? A :: Go to wp-admin > Ads (left menu) > Banner Slider > Banner Slider Settings > See “Home Page Settings” >> Select slider. 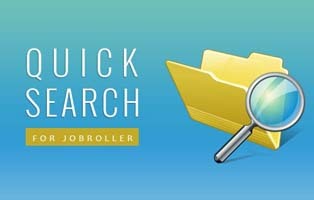 Q :: How to set banner slider for search page? A :: Go to wp-admin > Ads (left menu) > Banner Slider > Banner Slider Settings > See “Search Page Settings” >> Select slider. Q :: How to set slider settings? A :: Go to wp-admin > Ads (left menu) > Banner Slider > Banner Slider Settings. Q :: How create new banner slider? A :: Go to wp-admin > Banner Slider (left menu) > Create Banner. Q :: How to stop banners auto play? A :: Go to wp-admin > Ads (left menu) > Banner Slider > Banner Slider Settings > see “Auto Play” settings. Q :: How to set auto slide slider timer ? A :: Go to wp-admin > Ads (left menu) > Banner Slider > Banner Slider Settings > see “Slider timer” settings. Q :: How to remove pagination? A :: Go to wp-admin > Ads (left menu) > Banner Slider > Banner Slider Settings > see “Pagination” settings. Q :: How to stop Infinite Loop? A :: Go to wp-admin > Ads (left menu) > Banner Slider > Banner Slider Settings > see “Infinite Loop” settings. Q :: How to remove auto height? A :: Go to wp-admin > Ads (left menu) > Banner Slider > Banner Slider Settings > see “Auto Height” settings. Q :: How to set Slider Effect? 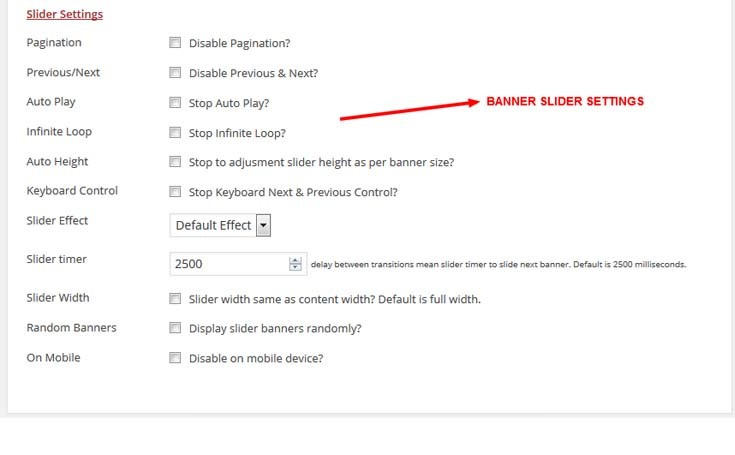 A :: Go to wp-admin > Ads (left menu) > Banner Slider > Banner Slider Settings > see “Slider Effect” settings. Q :: How to hide from mobile? A :: Go to wp-admin > Ads (left menu) > Banner Slider > Banner Slider Settings > see “On Mobile” settings. 4) Go to wp-admin > Banner Slider (left menu) > Create Banner. 5) Set banner slider settings. 6) Set banner slider for category pages from — wp-admin > Ads (left menu) > Categories > Add/edit Category > See “Banner Slider Settings” >> Select slider. 7) Set banner slider for home page from — wp-admin > Ads (left menu) > Banner Slider > Banner Slider Settings > See “Home Page Settings” >> Select slider. 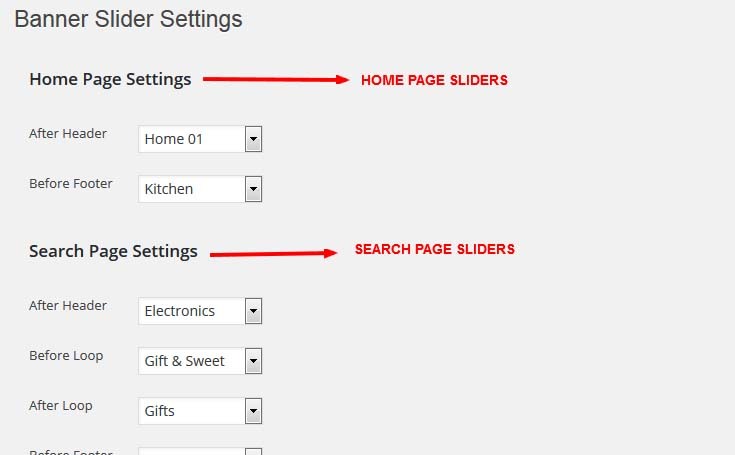 8) Set banner slider for search page from — wp-admin > Ads (left menu) > Banner Slider > Banner Slider Settings > See “Search Page Settings” >> Select slider. 9) Read Usage, Notes & Developer Notes Carefully. 10) See the screen image attached with the plugin folder to have visual help what to do. 11) If any problem, please contact plugin developer. — Featured slider options not working properly – problem solved. — Featured slider widget added for ClassiPress version 4.0 only. — Removed banner slider options above & below loop for search, ad category & ad tags pages because related action hook for new version is removed. — Featured ads slider never display for mobile device – Problem solved. — There is option given from plugin settings >> Feature slider settings to show/hide sliders now working as per settings. — Added two new slider spaces for above header and below footer area. — Edit banner option link with banner settings like for plugin general settings & category banner settings. — Update manage banners slider add/edit form. — PHP Notice: from widget section — Removed. — In last update, banners settings option not working – Problem solved. — More ads link from pagination >> slider not display — added now and you can manage from plugin settings. — Added some filters so any one can manage sliders without change the plugin code. — Banners per slider increased and now you can upload 10 banners per slider. — Search page banners not display – Problem solved. — Slider banners load delay added so it will loaded banners after sometime of page load. So banner load time may not effected your website load speed. — Replaced theme default featued listings slider with screen touch slide and easy to see for small size devices. 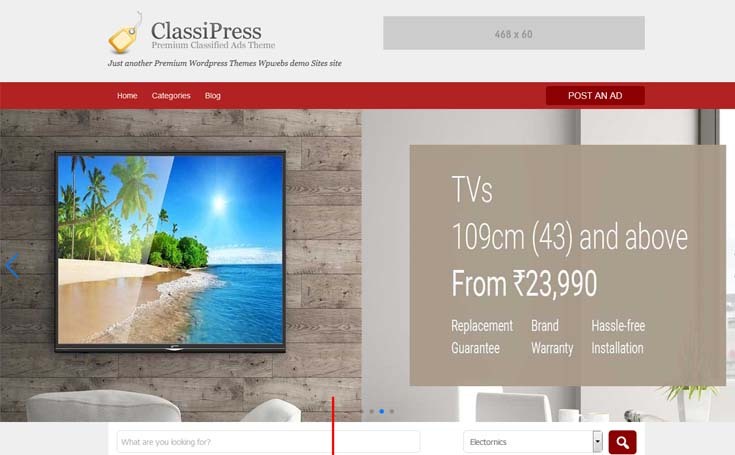 — Enable featured listings slider from wp-admin > Ads (left menu) > Banner Slider > “Feature Listings” Tab. — If you want to add manually, please see readme.txt file for more details. The version is classipress 3.5.8. To make matters worse, inside the panel when clicking on view banner gives page not found. Uploaded, Installed and activated the “Banner Slider”, but it’s not working/showing any banners. My site is “www.bosslk.com”. I can see banners display below header & above footer on your site. How you feel that banner not display or do you have drop email or forum support for that? Is that something you could help with ? if you don’t create slider for main second slider on the bottom and it will disabled or removed. I bought this plugins sometime ago and it’s working fine upto today. Now I am getting blank space on all banner space. Please advise how to correct it. I visit your website, the banner look like what I wish done . When I click on one ad, I can see the banner abour Microsof (Horizontal and vertical)and Amazon Electronics ( Shop related products). I would like to know if you done all banner just with the Banner Slider For ClassiPress? I can also see the images that change regulary, other Which scrolls. How can I can do to have this? I bought the ad scroller plugin, but It does not do everything your banner done. About the premium ( feature, free ask me) please which plugin have you bought? While I am checking your site, I can see all sliding banners on home page. Sometime, net problem and the images not loaded. It may be create problem for you, not sure about your exact problem. 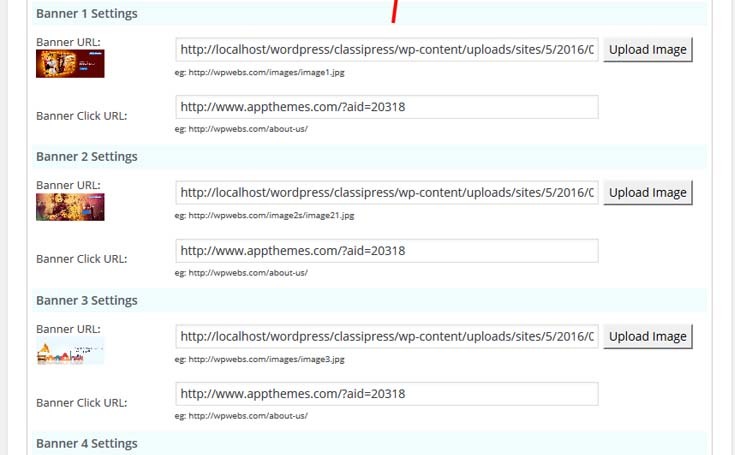 There are 2 plugins for ClassiPress advertisement. Which display either banners or advertisement scripts like google ad-sense. 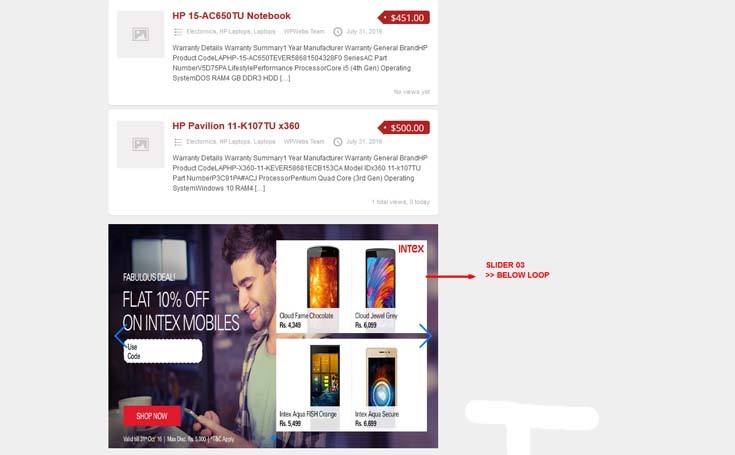 Display advertisement on different places. See demo for more details. Which display banners only in slider format. You can create new slider from admin and display on categories, home and search pages. See demo for more details. By looking you comment you can use this plugin but you should add multiple banner images with URL while added. Te dejo mi página para que sepas mejor. Both plugins are useful for advertisement and both have unique features. 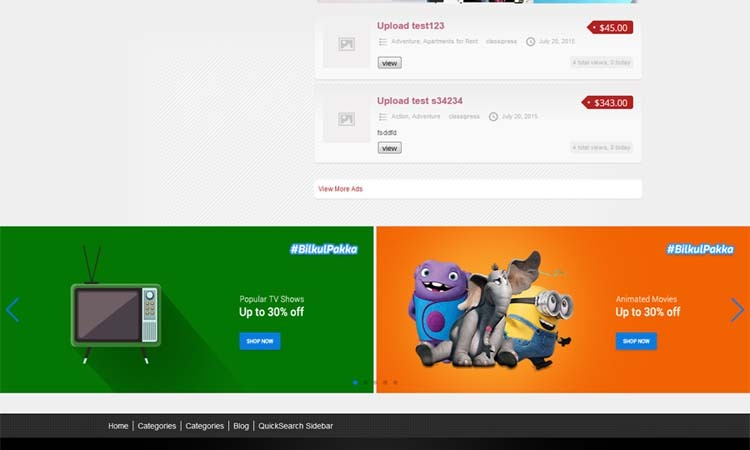 ==> Like Image slider you can see for most of theme to display attractive via advertisement. ==> it give you screen touch slider working good for mobile also. You can use both plugin for sidebars to dispaly. So you should decide what kind of advertisement do you want? Ambos complementos son útiles para el anuncio y ambos tienen características únicas. ==> Al igual que el deslizador de imagen que puede ver para la mayoría de los temas para mostrar atractivo a través de publicidad. ==> le da el control deslizante del tacto de la pantalla que trabaja bueno para el móvil también. Puede usar ambos plugins para barras laterales para distribuir. Así que usted debe decidir qué tipo de anuncio que desea? hi.. i need help.. i want to buy your plugins, but 1st i need a few confirmation from you. is it i get all of this feature if i buy this only banner slider 19 dollars plugin? or it sold separately ? i mean are those 3 example i gave it to you originally from 1 plugins, only i have to set it up so it became 3 different layout? Once you buy the plugin, you can set banner slider on those pages as per link you have display via plugin. In $19 only. But make sure I am talking about banners slider display. LIke banner slider in header, footer and listings sections. 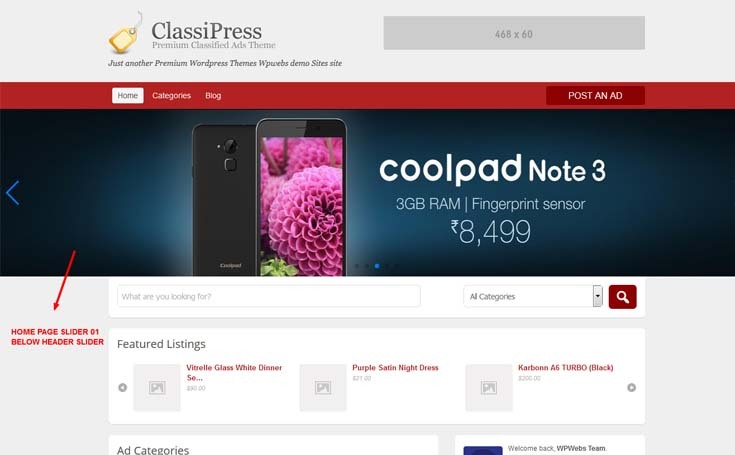 Hi i’ve just brought this plugin for my classipress site http://www.nudees.co.uk and the featured banner doesnt work on mobile view but it works on desktop view. I havent checked the box which says hide from mobile so i do not know why it isnt working. Can you please get back to me with a solution? What is maximum number of images that i can add to banner slider? Also I want to renew my plugin? Please send me the link. 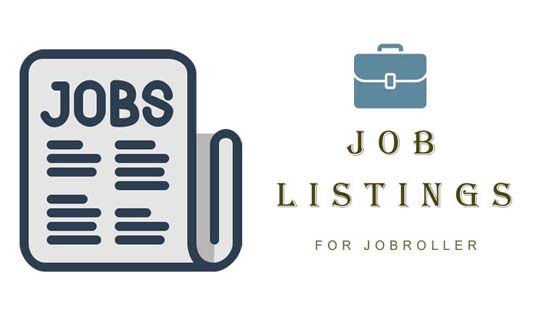 Different type of Job listings that find the job easy and SEO friendly.